London North West, UK - Here at London Reclaimed Brick Merchants we have a huge variety of customers; whether they are working on large builds that require tens of thousands of bricks, or on restorations, DIY projects, artistic and theatrical displays that need hundreds or thousands, we are always on hand to help. Last month we provided building materials to one of the capital’s most historically significant museums for a special exhibition and performance. 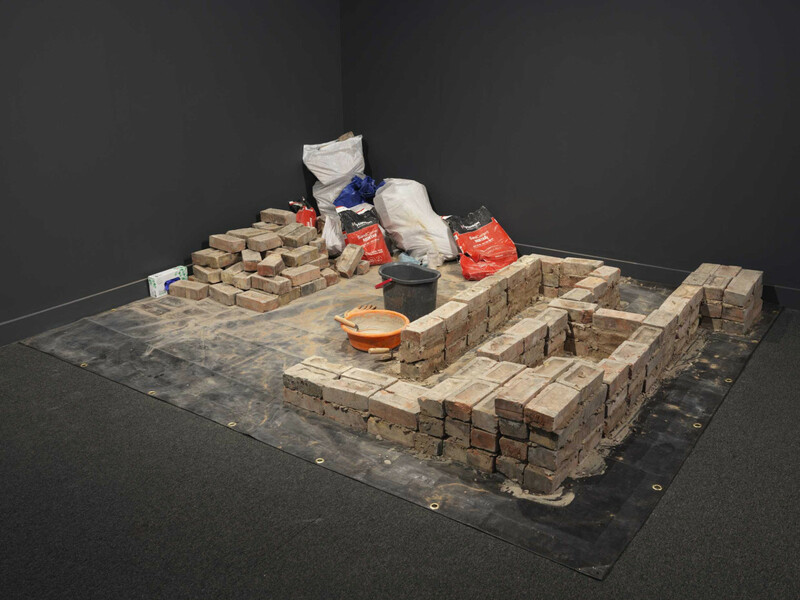 London’s iconic Imperial War Museums (IWM) ordered 200 reclaimed fletton bricks to be used by Afghan-American artist Aman Mojadidi for his performance ‘Remembering a Future’. Blurring lines between fact and fiction, the show explored themes such as belonging, identity, politics, history and migration in the contemporary Western world using a selection of objects and video clips hand-picked by the performer himself. As part of the performance, Aman used our reclaimed bricks to build a wall-like structure with audience participation during showings from the 7th-11th February. The structure has been on display as part of an exhibition at the IWM from the 16th of February and will be open to visitors until the 28th of May. With special thanks to LRBM for their contribution to SalvoNEWS. Salvo welcomes contributions to SalvoNEWS especially from Salvo Code members. Please email your news stories to shirley@salvo.co.uk. London Reclaimed Brick Merchants are Salvo Code members.